We know moving house can be a stressful time, so let us carry some of that stress by providing you with an experienced moving service. We know every move is different and has to be approached its own way, we have a fully flexible range of removals services available to cater for your move. Our aim is to provide professional, efficient, cost effective removal's that we can be proud of. Whether you require an internal office move or full company relocation, we can provide a wide range of commercial business packages to cater for your move. We have successfully relocated many businesses locally and nationally. We aim to ensure that your business systems are up and running as quickly as possible, to minimise disruption to your working hours. A full or part packing service probably costs less than you think. 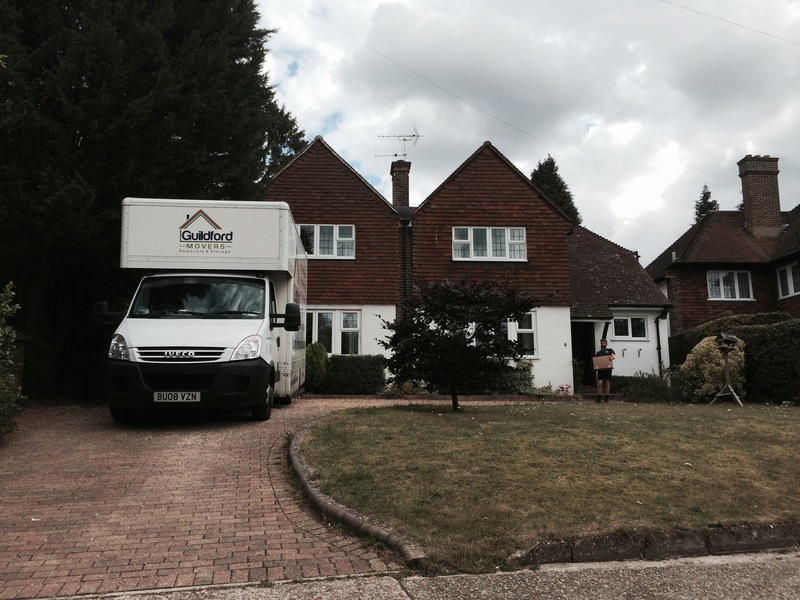 We offer a range of different packing options here at Guildford movers. We are experts in carefully and efficiently packing all your possessions so that you don't have to. Using our packing service saves you a huge amount of time and ensures everything arrives at your destination safely when you need it. Whether you require storage for a single item of furniture or an entire house, we can help. All of our storage is fully insured, secure and dry. We wrap all your furniture in blankets and shrink-wrap to ensure your furniture comes out in the same condition it went in. We have short and long-term storage options available. Self storage can be arranged if you require regular access to your unit. 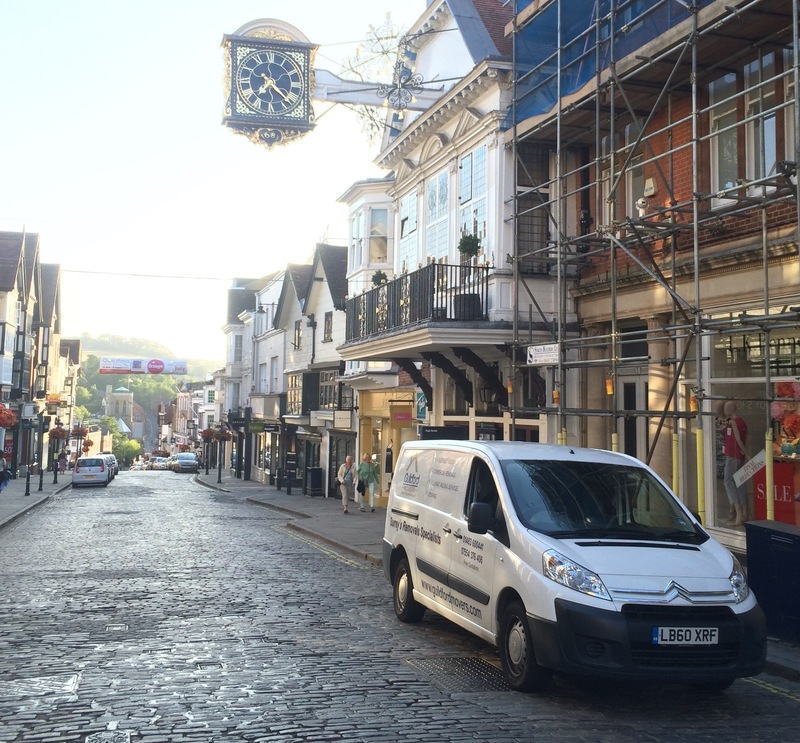 Matt Malins began Guildford Movers after 12 years in the removal's industry, with the idea of providing professional removals with a smile. His expertise, experience and care are something he prides himself on and ensures these traits continue throughout his staff. Please look at our testimonials from previous customers or check our feedback on Checkatrade for our live feedback scores and reviews from some of our latest moves. We pride ourselves on offering a friendly service at highly competitive prices without compromising our high quality of service. We are small enough to get to know you and your move but large enough to handle whatever your move requires. Matt ensures he meets every customer personally to tailor the service to their needs. Moving home or office can be an extremely stressful time for everyone involved without the extra worry of having to move your belongings. We can remove that worry by taking care of whatever your move requires, from using us from start to finish or advice on packing your belongings if you would prefer to pack yourselves, we are here to help. In terms of the cost of moving to a new property, removal services can be a small price to pay to ensure your belongings get to your new home in the same condition they left your old one. To speak to Matt to recieve a free no obligation quote and discuss your removal further, call 01483 600 441 or get a quote online. Matt was born in Guildford and when not travelling the world or playing sport he has always returned to live in Guildford, giving him extensive local knowledge of Surrey and the Surrounding areas. Richard was born in Guildford and studied Music at university in Leeds, returning home and working with Matt to deliver high quality service as the business expands.